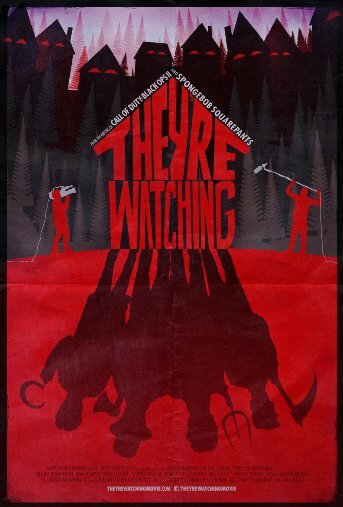 A day or two ago we brought you the new poster for They're Watching, now comes a trailer and you can watch it below. The film stars Brigid Brannagh, Kris Lemche, Carrie Genzel. Jay Lender & Micah Wright write and direct. When an American home improvement TV show visits a remote Eastern European village, the young crew thinks the lack of mocha lattés and free wifi will be the worst of their problems. But after their filming interrupts the superstitious villagers' private religious ritual, the situation takes a turn for the homicidal… and when the blood starts flowing, that's when things get really weird.